In Partnership with Horses DVD is HERE! Anna’s latest DVD, In Partnership with Horses, has finally come to fruition! Please follow the link below to pre-order your copy today! I want to Pre-Order In Partnership With Horses! Please also visit our website for more information on Anna’s methods and ideologies and to find out how you can Reach Out to Gentle Horsemanship yourself! Our good friend Paul is running the Colfax Marathon to support Zuma’s Rescue Ranch (and show everyone just how out of shape Vin is in comparison). 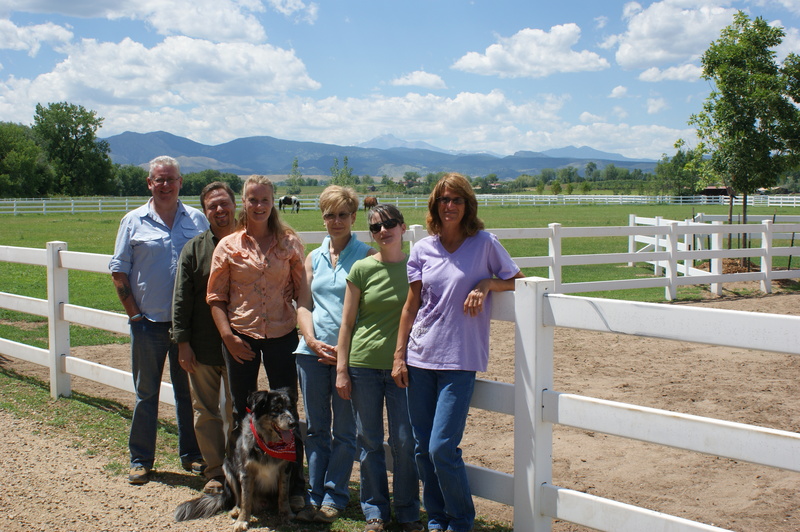 Find out how you can be a part of rescuing both horses and at-risk youths. A very special place, very special people! who were destined for slaughter are rescued, rehabilitated, and trained so that they can help children who have been similarly discarded by our failing system in Zuma’s Equine Assisted Learning (ZEAL) sessions. 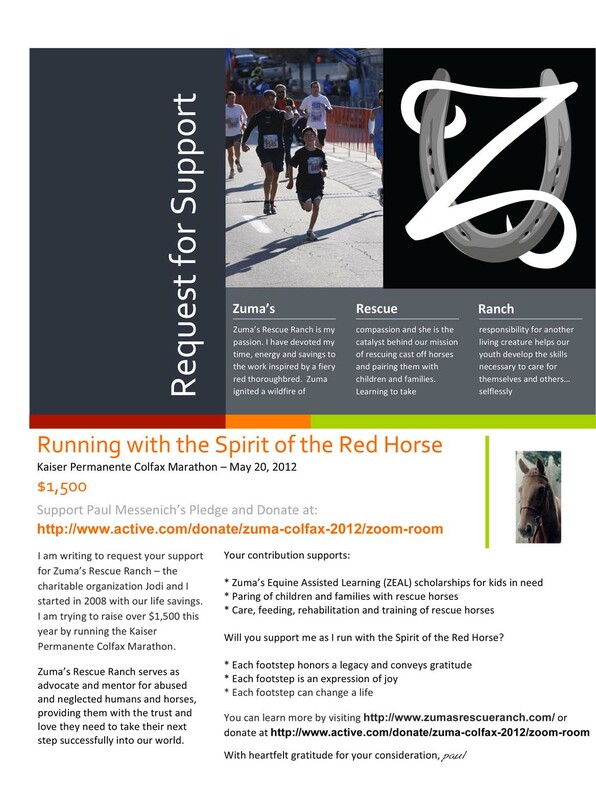 Zuma’s is an approved 501(c)3 non-profit organization. Your donations are tax-deductible. Please support these children and horses. Lives are not disposable.